Story - 116 S. Commercial St. In 1897, the Equitable Fraternal Union, a nonprofit fraternal life insurance company, formed in Neenah, Wisconsin. 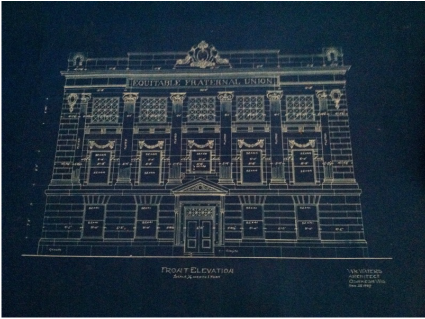 Rather than purchasing an existing building, the EFU decided to have a new building created to house their headquarters in the early 1900s. For this purpose, they hired the architect W.M. Waters from the nearby city of Oshkosh. Waters designed the building with neoclassical themes in mind and, in 1907, designed a truly unique home for the EFU. In the following century, the building and its owners maintained a fairly quiet existence; few major events centered around them. The EFU eventually merged with a similar company, Oshkosh's Fraternal Reserve Association. In doing this, the EFU became the ERA, the title which the building bears even into the modern era. Several other companies were merged throughout the century, including the Germania Mutual Life Insurance company and the Royal League of Berwyn from Illinois (although it did not change its name for these). In 2005, the ERA began losing money due to the difficult economy and nonprofit nature of the association. This eventually proved fatal to the company, which was merged into the Modern Woodman corporation in late 2012. For the following year, the building lied essentially empty as new companies as well as officials debated what to do with it. Some proposed that the building be demolished, while others recommended the building be converted for office space, as it is today. Since then, the former ERA building has been under significant renovations to make it suitable for its new tenant, the Dynamic Insights Company. 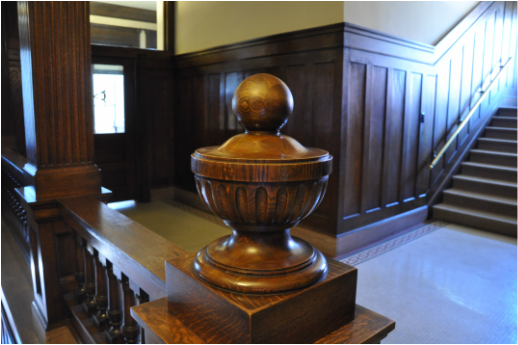 Throughout the renovation process, the new owners have tried to preserve the building's aesthetic qualities. Many elements, ranging from wide hallways with intricate wood walls, to a ballroom on the uppermost floor, would simply not be present in a modern day office building, in which strict efficiency is the standard. The renovators seek to refresh these qualities rather than reject them, and with the exception of newly-raised ceilings, much of the building's design will remain the same so as to preserve the elegance so often lost in modern office spaces. For a fuller demonstration of this aesthetic focus, proceed to the Virtual Tour. The Ballroom at the Reserve has tied together elegance, tradition, and contemporary style, fulfilling the promises of the renovations. The ballroom plays host to a constant stream of guests, requiring interested customers to book early and quick. For a more detailed description of the ballroom and a full photo set, see the corresponding page. As of 2018, many businesses have taken up residence inside of the ERA building. These include Excelion Partners, Buoy Spa, and Dynamic Insights. These businesses host a variety of different services and products, giving the building additional significance throughout the community.